I’m Having a Baby: Is a Home Birth or the Hospital Safer? As my belly grows, I'm more and more stressed by a decision that's weighed on me for the last eight months. Where should I birth my baby? In the U.S., studies show that women planning to deliver at home have fewer medical interventions like induced labor or cesarean delivery, and their babies have a higher rate of death, seizure or other serious medical conditions. Last summer, when I found out I was pregnant, I initially envisioned, like most American women, a hospital delivery. In fact, that’s where 99 percent of U.S. children are born. That's not a surprise: The American College of Obstetricians and Gynecologists recommends hospitals or accredited birth centers as the safest option for having a baby. In fact, infant mortality plummeted in the last century as hospital births became more common. In 1900, when almost all U.S. births took place at home, 100 babies died for every 1,000 born. By 1997, modern medicine had reduced that rate by a whopping 93 percent, to seven infant deaths out of every 1,000. Today, only about one percent of babies are born at home each year. Yet to judge by my particular social group here in the Bay Area, you’d think home birth was by far the norm. Last year, six of my friends gave birth in their living rooms. Afterwards they shared powerful photos from the experience, of birthing tubs surrounded by candles. And they warned me that physicians and nurses in a hospital would push me to have medical treatments I might not want, such as drugs to speed my labor, an unnecessary C-section or pain meds. But when I shared the possibility of a home birth with my mother, she basically freaked. “You could have a complication or something happen where you would need to be in a hospital," said my mom. "If there's a problem, I want you to be where you need to be." Just to make sure she landed her point, she told me about my older brother’s birth. Nationwide, 1 in 1,000 babies die in hospital births, and 2 in 1,000 die in home births. Babies in planned home births are significantly more likely to have seizures or neurological problems, although this happens to fewer than 1 in 1,000 babies. 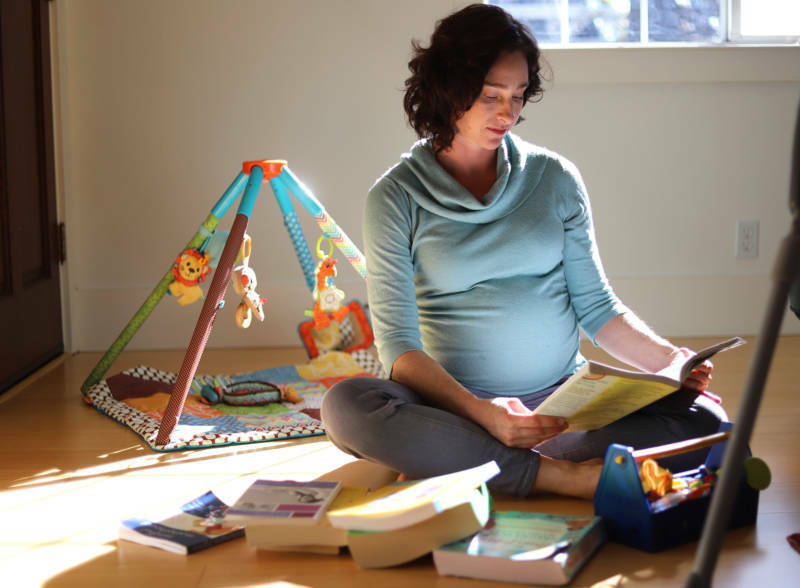 Of first-time moms choosing to give birth at home, up to 37 percent transfer to a hospital, largely because the baby is unable to move through the birth canal. 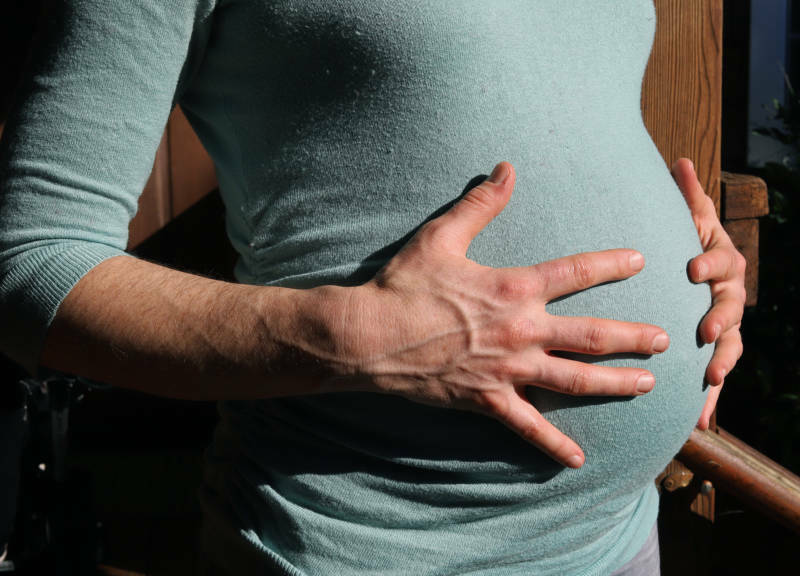 Planned home births end up in fewer cesarean deliveries; California hospitals report a wide range in the rate of cesarean births, from 15 percent to more than 60 percent. 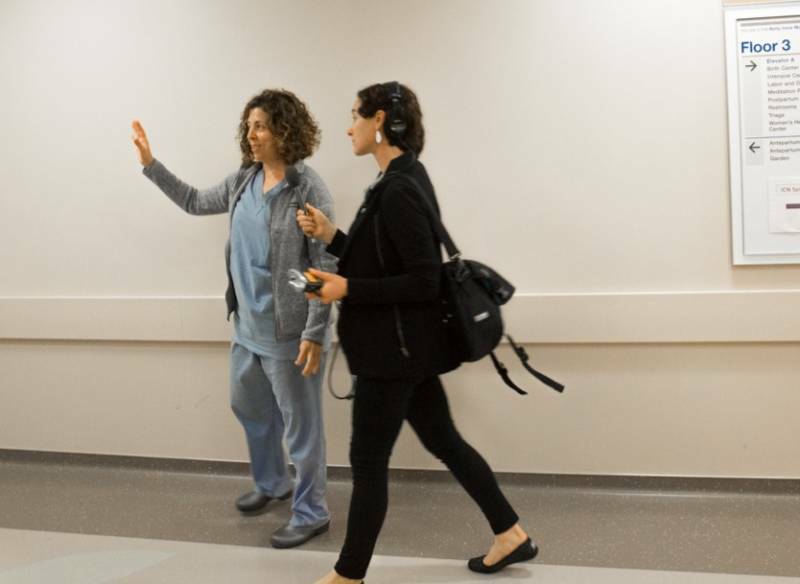 Dr. Neda Ghaffari, a perinatologist at UCSF, says delivering in the hospital is probably safer than being at home, because a team of practitioners is always available in case of emergency, which any woman can experience during labor. A mother may begin hemorrhaging, for instance, or the baby may become blocked in the birth canal. “It’s very hard to determine which patients are going to have an obstetric emergency," Dr. Ghaffari said. Plus, she notes that neonatal seizures are three times more common at home, and that twice as many babies die in home births as hospital births, according to the American College of Obstetricians and Gynecologists. If a woman with a low-risk pregnancy does choose a home birth, Ghaffari recommends the same precautions as ACOG. She should live within 15 minutes of a hospital, for example. I’ll admit the conversation with Dr. Ghaffari stoked my fears about home birth. 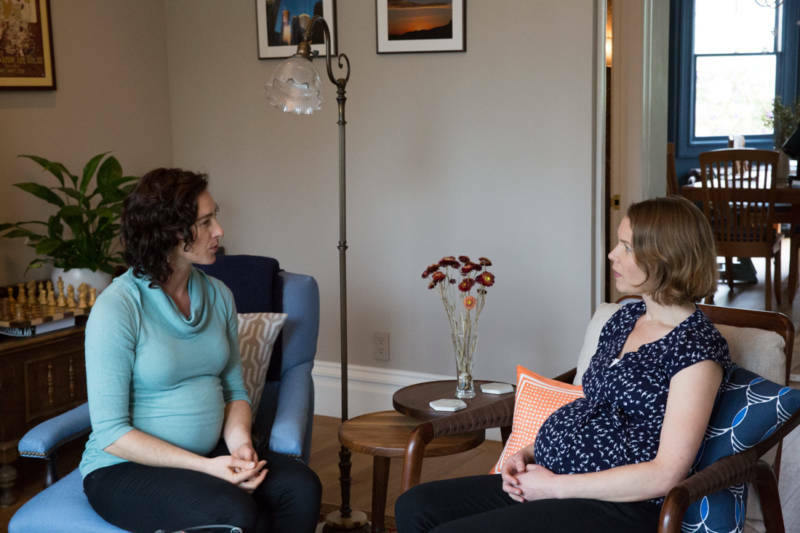 For a home birth perspective, I talked to Maria Iorillo, a state-licensed midwife in San Francisco. She’s attended births for three decades, and says she’s tallied 1,400 births, most of which unfolded safely at home. If a mom chooses to take that journey at home instead of the hospital, she will feel the full brunt of the experience, because no pharmaceutical pain relief will be available. Though Iorillo does carry medical items like an oxygen tank, numbing agents, suturing materials, acupuncture needles and herbs. Iorillo says her clients desire a birth with the least amount of medical intervention possible. She describes the appeal of home birth by comparing it to running a marathon, in the sense that they’re both arduous, excruciating and rewarding. “You can really kind of tap into what’s a woman’s body’s made for," Iorillo said. One thing I learned: I'm a good candidate for home birth. I don't have diabetes, high blood pressure or other conditions that could complicate delivery. I only have one baby inside my belly, and I live close to a hospital. So I found myself rethinking home birth. I needed someone who knew both worlds. Dr. Robyn Lamar is an OB-GYN at UCSF. Despite her profession, she chose home births for both of her children. She's now pregnant with her third child, whom she also plans to birth at home, because she wants to labor at her own pace in a familiar setting, without medical intervention. "The underlying belief in midwifery is that birth is a physiological process, which makes sense to me," said Dr. Lamar. "Versus the more medical view, which I'm trained in and I practice, that birth is something that can be high-risk at any moment and it's sort of a disaster waiting to happen." Dr. Lamar emphasizes that, at the hospital, a mother is at a higher risk for an episiotomy and infection. Lamar recognizes that what’s best for one woman may not be right for the next. "Some of us feel more at ease in the hospital because they know the experts are there. It gives them a lot of security and assurance," said Lamar. "But, a lot of us feel like a duck out of water in the hospital. It's very unfamiliar. When you're on your home turf, and you're there with your family, it really does change the dynamic." When I asked Dr. Lamar directly to advise me on my own decision, she answered very neutrally, with a smile. "Oh, there's no right answer," she said. "I think it's such an individual journey for everybody. Whether you give birth in a hospital, or at home, or in a birth center, everyone's story is going to be completely unique." Another big factor to consider is cost. If I choose a home birth, I’ll pay completely out of pocket. In the Bay Area that’s $4,000 to $8,000. If I choose a hospital, my insurance will pay everything except my $100 copay. “In terms of reproductive justice, it makes sense for all women to have the same array of options around birth like you would in a country like England, where there's national insurance," she said. "One should be able to choose their place of birth based on preferences and risk level rather than financial means." I tried to prevent money from influencing my decision by continuing to talk to friends and experts, reading studies and touring hospitals. But after eight months of searching, I still find myself on the fence.